We had a 4-day tour guide with Martin in Croatia and we really enjoyed it! He was prompt, informative and engaging. He made every effort to meet our requests. Martin was quiet with us. He is not a typical "talkative" tour guide, but that is how we liked it. Thanks for such a memorable trip! We also engaged Martin for the another 2 days of transfer and tour and were happy with the transfer from Split to Dubrovnik with a detour to Mostar. The next day we took a day trip to Kotor and glad to be taken on a detour up mount Srd for a day and a night view over Dubrovnik. He was punctual and stable in his driving as he has probably travelled the same routes or roads a hundred times. Martin is a reliable, punctual guide and driver. He has deep knowledge (historical, political and geographical) of his country. He is obliging and serious at times but after a day we got use to him. Our 1st two days of outing to Slovenia and then to Plitvice National park were well scheduled, no rush or push and were at a relax pace. No doubt we would recommend Martin to friends or colleagues who intend to holiday in Croatia. We were very pleased with our tour guide, Martin, who was punctual, friendly, courteous and a good driver. We had a wonderful day touring and visiting the sights in Bled, the Postojna Caves, and Ljubljana. Martin is extremely knowledgeable about the region and places we visited and capably answered all of our questions. We wish we had had more time with Martin to tour and visit this lovely area. We highly recommend Martin as a tour guide to anyone who might want to see this beautiful country. We had a wonderful day with Martin, who also bought his delightful daughter Karmen along, to keep my son of the same age company. We visited the Plitvice Lakes and seaside town of Senj with stops for drinks and lunch along the way. 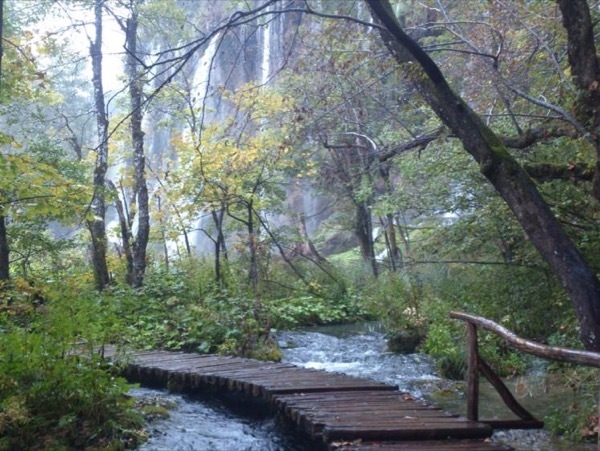 Plitvice was amazing, definately a place of immense natural beauty and well worth a visit. The coastal stop in Senj was a great bonus to a lovely day out. I would definately reccomend Martin as a tour guide. We recently booked a tour in Croatia with Guide Martin. He was excellent. We were hoping to find the villages where my in-laws grew up. Martin not only found both villages and drove us there, he also took us to the registry office and translated for us with the local folks . In addition he helped us with the proper 'etiquette' with regards to Thank You gifts for them. Martin has a deep knowledge of the history and political events which have shaped Croatia over centuries. Travelling from Zagreb to Split, Martin introduced us to aspects of Croatia not normally on the tourist itinerary including great artisan producers where we learn about and taste delicious olive oils, cheeses, prosciutto and local wines. He drove us in a comfortable air-conditioned vehicle, sometimes off the beaten track so we could experience the beauty of the Croatian countryside. Martin is responsible, punctual and honest. Though the traffic was busy and the schedule was behind, he still brought us to all the spots as listed. We were impressed by the Lake Bled and Postojna Cave. Finally he brought us to his dad's cottage for a local dinner with his family which we enjoyed so much. We left a mobile phone when we got off his car home and he called us after a while and sent it back to us, thank you so much, Martin. Brilliant tour to the Krka national park. Martin is a helpful and knowledgeable guide who made sure we saw the best of the country on this short trip.